This easy and fragrant recipe for slow cooker mulled wine is a perfect recipe for serving with appetizers before Christmas dinner. 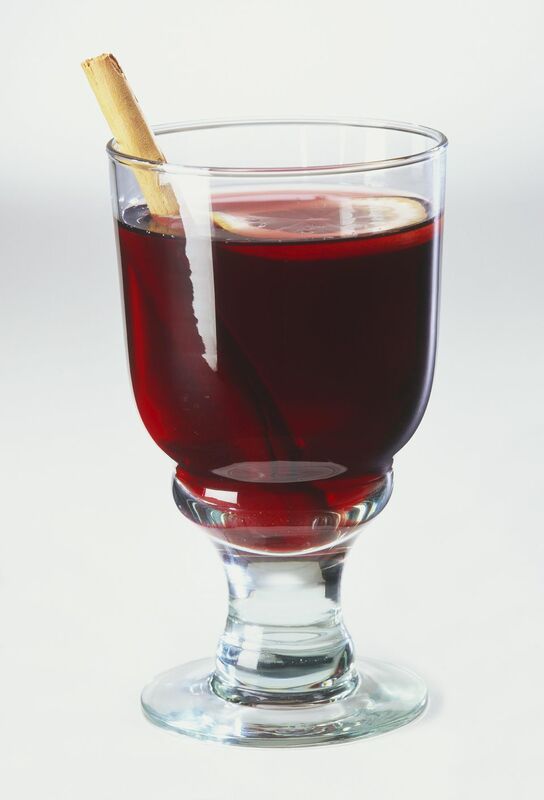 Mulled wine is like a hot toddy: an alcoholic beverage with sugar, spices and citrus added to make a warming drink. The history of this recipe is interesting. It was first served by the Romans and is a traditional holiday drink in the United Kingdom and Germany. It is also a popular drink in the Netherlands, France, and the Scandinavian countries. It's important to use dry red wine in this recipe because so much sugar, in the form of corn syrup or golden syrup and honey, are added. You don't want the wine to taste too sweet - it should still have the acidity and tannic quality of a red wine. I would also not recommend that you use a really good wine in this recipe. Just your average bottle of fairly dry wine, similar to a house wine at a restaurant, would be perfect. The orange peel should be either cut fairly fine or cut into big loops that will look pretty in the beverage. You can remove the orange peel and cinnamon stick before serving or leave it in to add even more flavor as the beverage is served. Put out ceramic cups, such as coffee cups or punch cups, with this recipe. Put a thin slice of orange in the bottom of each cup and let your guests ladle the mulled wine over the orange. Put this mulled wine, in your crockpot if it's pretty, on a table when serving a buffet dinner for the holidays. The color and fragrance are simply perfect for celebrating winter occasions. It's delicious with any appetizer, but especially with recipes that have a robust flavor. Any recipe using meat, such as pate, Bacon Wrapped Sausages, or Devils on Horseback, would be perfect with this drink. Combine both bottles of wine, corn syrup or Golden Syrup, honey, water, orange peel, cinnamon stick, allspice and nutmeg in a 4-quart crockpot and stir well to combine. Cover the slow cooker and cook on low for 2-1/2 hours, stirring once during cooking. Remove orange peel and cinnamon stick before serving, if desired. Place a thin orange slice in the bottom of each mug and spoon the hot wine over the orange using a large ladle.